Gabuza has come under mass scrutiny from the Pirates supporters, as well as South African football fans at large, over the past two seasons, due to his scoring tally of just 10 goals in all competitions since the start of the 2015/16 season. The 30-year-old frontman puts out a massive shift whenever given an opportunity, but admits he is not satisfied with his inability to put the ball into the back of the net. “I am not happy with how I am performing. I can run for 90 minutes, 120 minutes or for two hours, if a game were to be played for two hours,” Gabuza tells KICK OFF Magazine in the February edition, which is on sale now. “I can run a lot, but if I don’t put the ball in the back of the net, then my job is not done. It’s about the goals at the end of the day. The burly Bafana Bafana international, however, maintains he is a top striker, and feels people are quick to forget his past achievements as he endures his current struggles. “I was the leading scorer in CAF [Confederation Cup in 2015], but no-one brings that up – it was not a mistake. 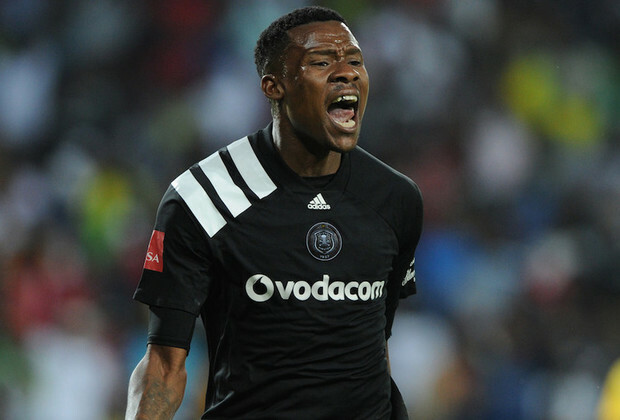 I am trying to re-find my style of scoring goals,” Gabuza adds. Read the full interview in the February edition of KICK OFF Magazine – on sale NOW! Or download a digital copy here!